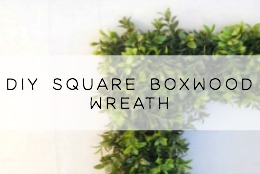 I have a fun project to share with you today! 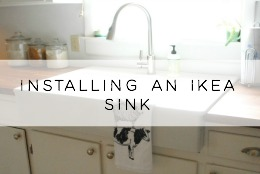 It involves taking something old and dingy and changing it into something new and bright. I had this old table that I just couldn't get rid of. I received it along with several other things from my grandma when she was moving and getting rid of things that she didn't want. Even though I took this table I have never really liked it. I never know where to put it and I have not really had a vision for what I wanted it to look like so it usually gets shoved in a corner and hidden away. 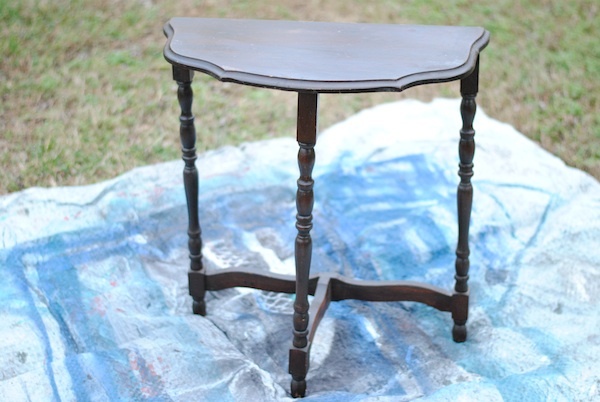 I tried to sell this thing, give it away, craigslist - you name it - but nobody wanted it...poor side table. From far away I guess it doesn't look too bad, but when you look closer you can see that it was gross - scuffed, banged up and flaking...it needed some TLC. I know this might look complicated, but I promise it was easy and pretty quick. 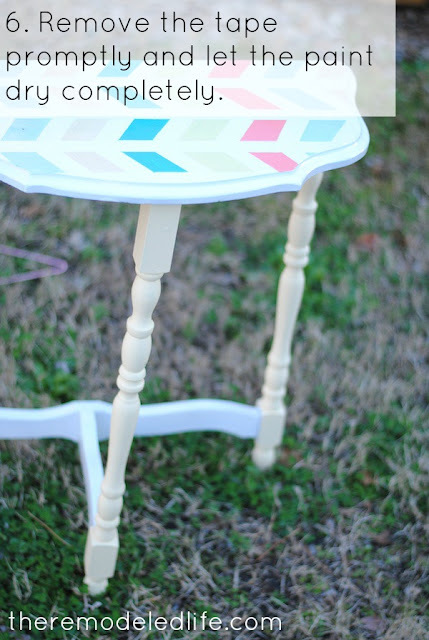 I have been all about a chevron pattern lately and I love the little tweak on a traditional chevron pattern in the form of herringbone -so that was my inspiration for this little table. 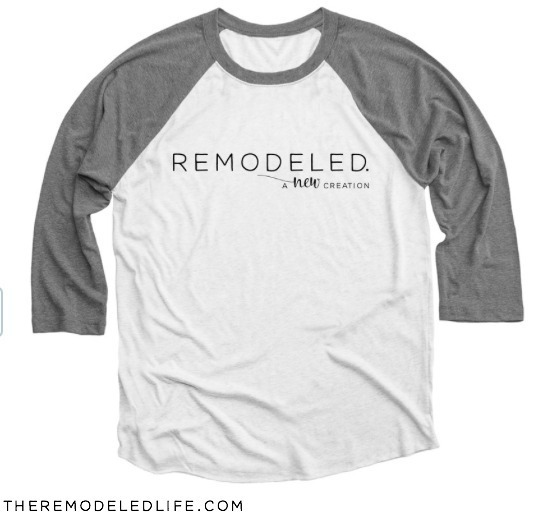 I decided if I couldn't get rid of it then I would embrace it and try to bring back some life into it (and actually enjoy it being in my house). 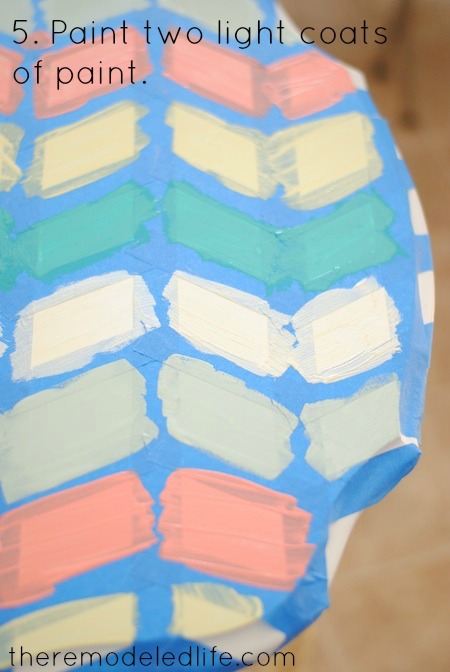 I have seen lots of herringbone stencil tutorials (or just stencil tutorials in general) and it always seems pretty tedious and time consuming. This really totally wasn't at all - I promise, I quite enjoyed this project. 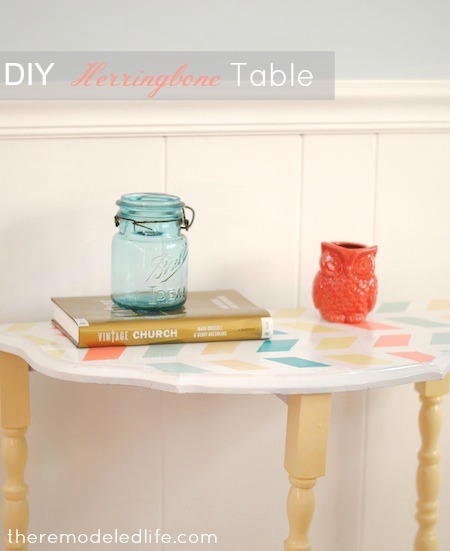 So here's is little journey and some steps for creating and painting your own herringbone pattern for your furniture. First thing I had to do was to paint the table white. I painted two light coats of primer and then two coats of white - I used spray paint for all of that. 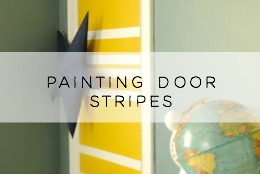 Then I decided to paint the legs yellow - I used a leftover yellow paint from out laundry room project. I totally forgot to take pictures of all of those steps but you can imagine it, I have faith in you. Ok up next is a little tutorial on how to make an easy herringbone pattern. I didn't pre-measure anything. I just eyeballed it and adjusted my tape until I liked the way it looked. Once its all painted its really hard to tell any slight variations in the pattern so it didn't bother me to not measure. PS - I used 1" painters tape. 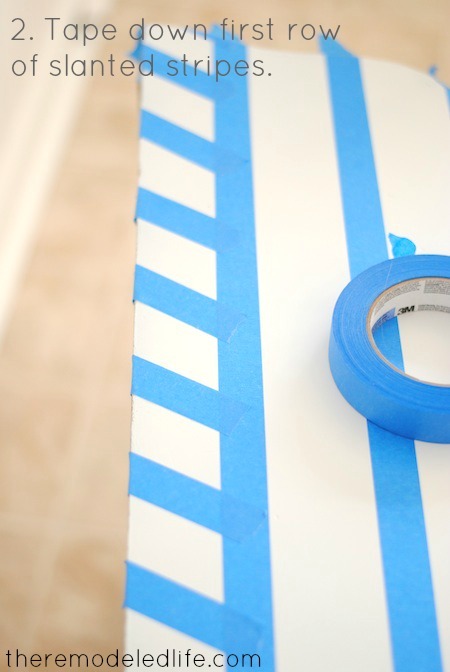 Make sure you have a handy helper like I did - very important, especially if you like to clean up little pieces of tape from all over your kitchen. 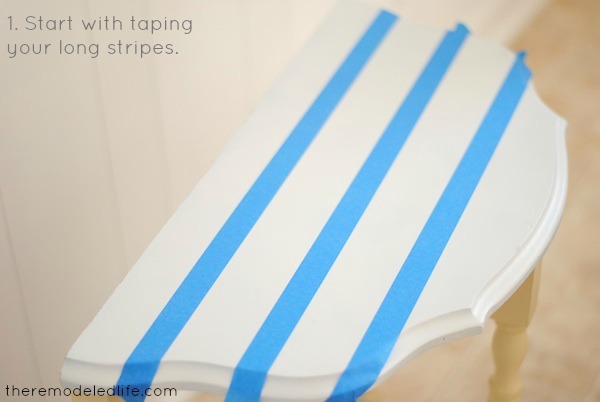 Oh, also make sure you take a minute to press down on all of your tape to esure you have a nice clean paint line. 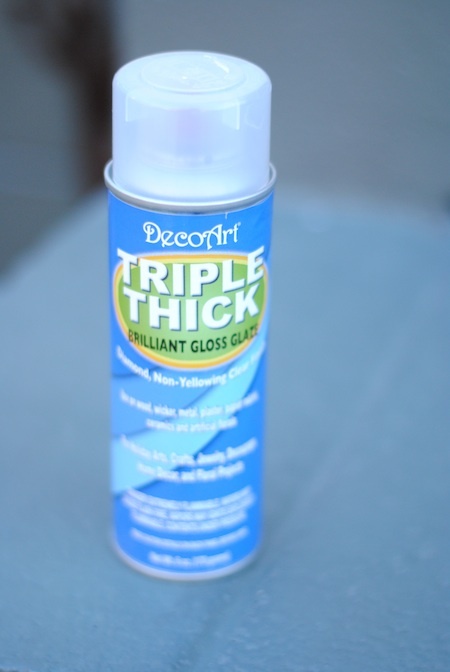 Here's the sealer I used. I have never used this kind but its what I already owned so I went for it. I was so afraid of it yellowing after it dried but it totally didn't. Just make sure you use light coats. Best part about this project - it was totally free. I used supplies I already had on hand that was purchased for previous projects and left over! I.love.this.table. Seriously, this was easy. Now I'm kind of ready to tackle a herringbone wall somewhere....hmmm, I'll keep you posted. Hope you guys had a wonderful weekend!!! Thanks so much!! So sweet! What a great table! I just love the herringbone pattern! That is super cute!! I love the light colours you chose. Thank sos much Shaina!! And thank you for following along! haha, thank you!! you totally should!! Thanks Melissa!! It doesn't matter if he likes it or not..just kidding :). He wouldn't mind though - I'm think small hallway wall - nothing major. Thanks so much Lauren! I would love to link up!! Thanks so much! My furniture here is never safe :)! I adore your table! So cute and clever how you did the herringbone! Thank you SO much for sharing at the "Thrift It" party! Thanks so much Jaime!! You were so sweet to feature me - made my day! Wow, thanks Carissa!! I would love to see what you do!! Wow! This is really cute. I love the colors you used. love the color and the pattern. 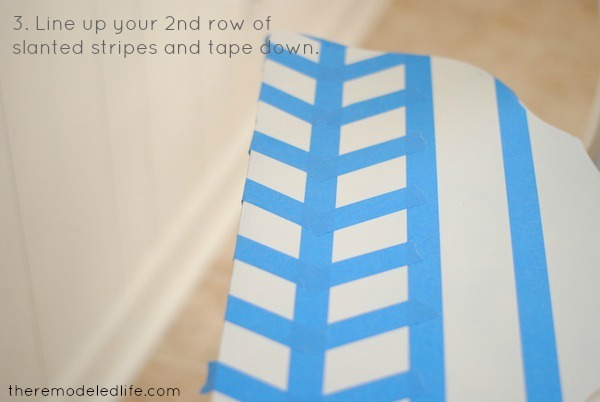 it actually looks easier to tape down and keep what you're supposed to be painting straighter than regular chevron. great job! Thanks so much! It was surprisingly really easy to do! I hate measuring so if I can find a quicker way to do it - I will! Thanks for stopping by! So super cute! 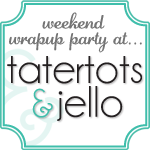 Found you through the link party at Craftberry Bush and I love your blog! 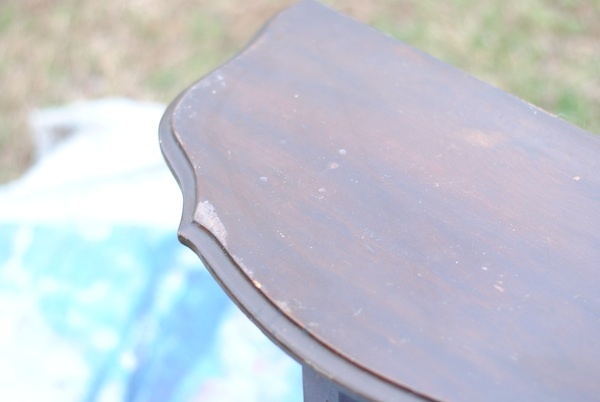 That transformation of your grandmother's table is ingenious! Wow, thanks so much Laura! You are so sweet!! Thanks Lisa! You totally should!! It really was easy! Great job! I love the colors you used together! So fun! Love the colors. 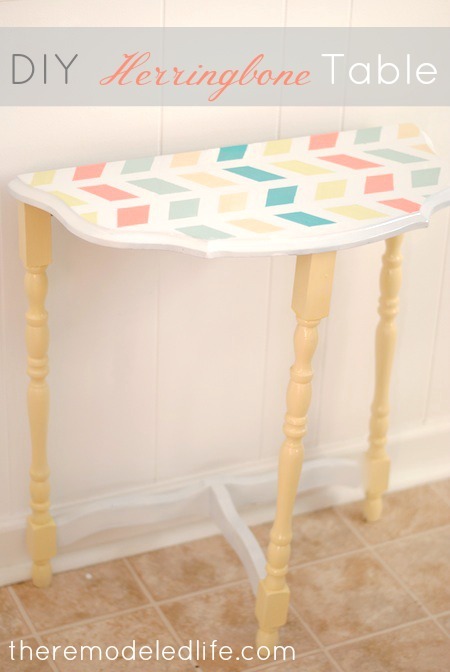 This table is seriously cute! Love your colors and thank you for the chevron tutorial!! I've seen your table EVERYWHERE! I had to come over and tell you how gorgeous it is!! 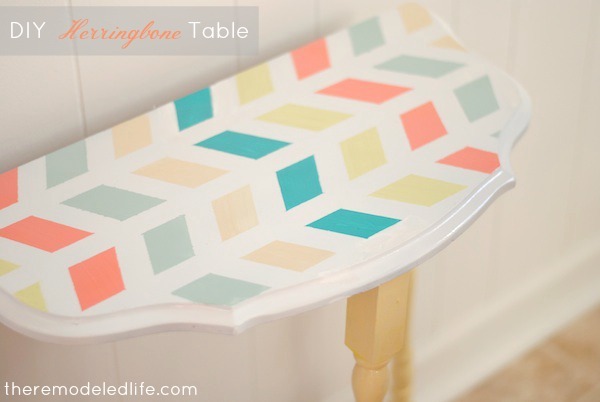 The herringbone is awesome and the colors are PERFECT! Amazing, up cycle, Megan! Haha, really? Wow, thank you so much for such a sweet comment. Just made my day!! This little table is FABULOUS!!! I love all the pretty colors you incorporated!! 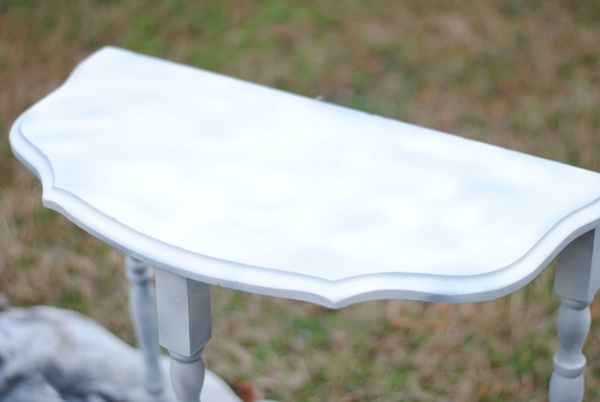 I am featuring your table on my blog today. Thanks for linking it up. I hope that you will come back again to my link party. First, I love the table. 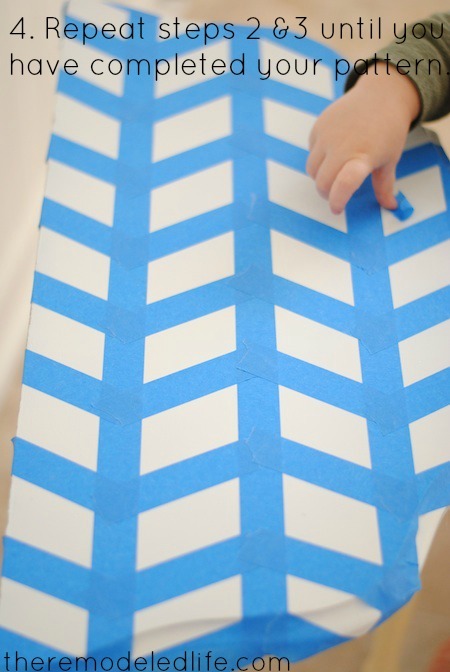 Love that you did something different with the too trendy chevron pattern. Second, did you know that if you through your post really fast to see the finished table at the end the pics of the taped off table become almost 3D? I seriously thought I was magnifying my monitor by mistake. They almost jumped off the screen and slapped me in the face. Thanks so much Abi! That is so funny!! I will now have to go back and scroll down really quickly to see the magic 3D blog trick :) haha! Wow, thanks Claudia! We love us some Mark Driscoll :). My husband is a youth pastor and he really enjoys reading his books and listening to his sermons online. We have heard him speak live once before and it was so good. I'm sure its an awesome church to be a part of! You are brilliant! I have two of these tables: one is in even worse shape than yours and the other is quite a bit more "primitive". I've been trying to decide what to do with the first one. 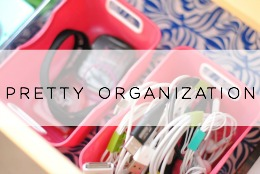 I've seen and pinned lots from blogs and pinterest but yours is by far the best I've seen (for me). Now I need to know your secret paint colours. I checked your post of February 27, 2012 re your laundry paint but no name for the yellow is mentioned. 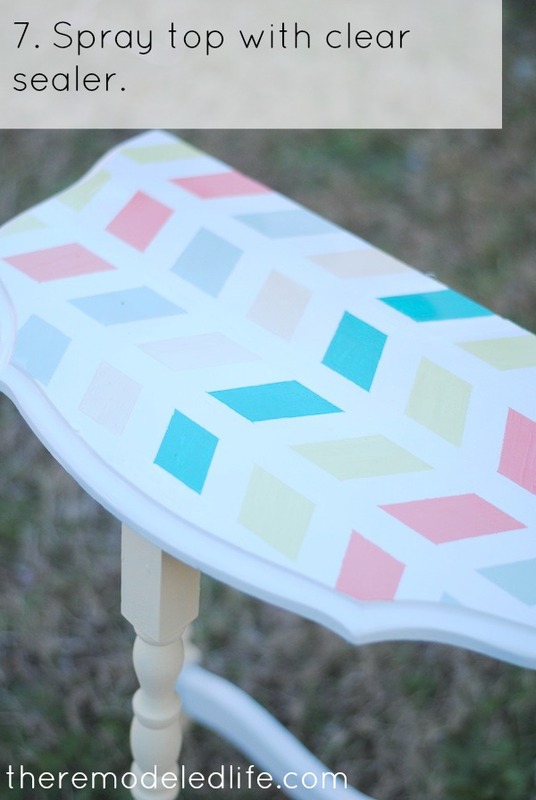 As for your design, I love the softness of the colours you used for the herringbone. What kind of paint was it? Acrylic? What colours? Thanks for such a great post and for solving my years-long quest to be able to paint my demi-lune table.